Goodbye Dark Spots. Hello Glow. Have you had enough of your dark spots? Tired of the layers of concealer, foundation, and the hours spent in the mirror attempting to “disguise” that patch of brown or red? I’ve got your answers here. As a Master Aesthetician who has worked with plastic surgeons and dermatologists for over 20 years, I have had access to every treatment and product available to treat every skin condition. I have learned that optimal results come from a well planned treatment program, a conservative pace, and a compliant patient. Slow and steady wins the race. Kimberly’s 3 Steps to Glow. I know all the shortcuts to getting good skin a whole lot quicker. 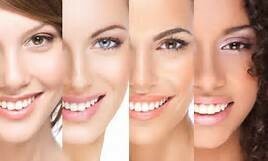 Abnormal pigment in the skin such as dark spots, PIH (Post Inflammatory Hyperpigmentation,) Melasma and the list goes on. The medical term doesn’t matter to you, but that pesky spot sure does. People always go to the wrinkles but don’t realize that uneven tone causes your skin to look dramatically more aged than wrinkles. It’s the patchy tone, the ruddy reds, and concentrated brown spots that make you look years older. Let’s talk about getting them to go away. 1.The Art of the Pre-Treating. The importance of a target-specific “physician grade” cosmeceutical in your battle is the first line of defense in the correction process. Start with your aesthetician. In this case, that’s me. You need to begin pre-treating the skin with an appropriate target-specific product. Whether your spots are PIH, age spots, or uneven tone, we treat it the same. You want a physician-grade product as opposed to OTC (Over the counter) because of the increased level of the active ingredient. OTC products contain low levels of active ingredients that you would need to use them for many months to see the same results as the physician-grade product. So, that’s where we start. You begin by treating the skin nightly with a high-grade Retinol, NOT Retin-A. The quick and dirty on Retinoids is this: percentage/strength means nothing. What matters is that the ingredient is able to convert into usable Retinoic acid once it is introduced into the skin. I like Neocutis NOUVELLE. This 0.06% high-grade Retinol corrects the skin rapidly without the harsh adverse effects that go along with using prescription strength Retin-A. Used nightly, you will see impressive correction within 4 to 6 weeks of consistent use. What’s the added benefit? Retinoids correct fine lines and wrinkles and greatly improve texture, turning rough skin into beautifully soft, supple skin in weeks while breaking up the pigment of your dark spots! RECAP: PHYSICIAN GRADE RETINOL NIGHTLY. MY RECOMMENDATION: NEOCUTIS NOUVELLE, $150. Now that you have pre-treated your skin for 4 weeks, it’s time to go in for a professional resurfacing treatment. My go-to is a form of “Infusion-assisted microdermabrasion” called Dermasweep. This is a very comfortable, pleasant treatment that evenly exfoliates the upper layers of the skin, and often times it targets exactly where your problem pigment lives. This gentle but very effective abrading of the skin sweeps away layers of dead cells, intracellular glue that clogs the pores, and damaged, pigmented skin that collectively is causing that dark spot on your face. 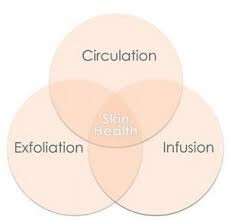 The second part of the treatment is the direct infusion of a solution into the skin. With a wide variety of solutions, your clinician will choose an appropriate formula to match the skin condition being treated. In this case, dark spots are the issue, so I would infuse a mixture of a skin lightening agent (i.e., Azelaic Acid, Kojic Acid) and several brighteners (i.e., Licorice root, Mulberry extract, Ascorbic Acid, Phloretin), which are all Hydroquinone-free and an acid. The action of the acid will help dissolve the layers and also provide a vehicle for the other ingredients to latch on to, so they can be penetrated into the deeper layers of the skin and effect the pigment. You’re almost at the finish line! The rest is cake. You have pre-treated, resurfaced, and now it’s time for the “mop up.” Kind of like firefighters after a fire, they go in and check for hot spots and do a clean up of the area. You are now going to start a product program to finish up any lingering “footprints” of pigment and protect your skin from future photo damage. For the daytime, you’ll want to use a high-strength Ascorbic Acid Serum. This will brighten the skin, hydrate, and help to protect it from future free radical damage. I like Neocutis Reactive C. It has a nice consistency with a bit of dimethicone, so it has a soft feel on the skin. Another great product is by Skin Ceuticals, Phloretin CF Serum, which is Vitamin C with an added 2% Phloretin to brighten the skin beautifully while giving it excellent free radical protection. Now let’s talk sun protection. Nothing damages and ages our skin more than UVA/UVB rays. In short, these affect your cellular DNA. We all love a little luxuriating poolside, but you have got to stay protected regardless of rain or shine. Sun protection needs to be in your routine just like brushing your teeth. Elta MD UV Daily SPF40 and Jan Marini Antioxidant SPF43. That covers daytime. For the evening, apply that Retinol (for the rest of your days, this will give continuing correction) and I suggest a potent peptide formula as well. I like Neocutis Biogel. This thick Hydrogel formula saves you time, money, and packs a punch with potent ingredients, so it’s three products all wrapped up in one! It serves as your hydrator (moisturizer), your peptide, and growth factor all in one and it’s a bargain at $135. RECAP: VITAMIN C SERUM, PEPTIDE & GROWTH FACTOR & SPF.